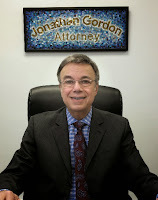 Jonathan D. Gordon, Ph.D., J.D. Your injustice may be someone else’s fair outcome. Sometimes in litigation, when a settlement is not possible, a Judge will make a decision based on the facts and the application of those facts to the Law. In Family Court, the facts can be disputed and create ambiguity for a Judge. If facts are disputed and there has been no presentation of definitive and convincing proof in a motion hearing, then a Judge will often be forced to schedule a plenary hearing or trial on those disputed facts. The trial is different from oral argument in a motion hearing since in a trial, there is sworn testimony and evidence may be used as proof of the proposition being asserted by the parties. Witnesses may be sworn in and testimony is subject to cross examination. The rules of evidence will control what the Judge will admit into evidence and ultimately, at the end of this hearing, the Judge will decide the issue and make findings of fact as well as conclusions of Law. Frequently, the Judge will strike a compromise position, giving something and denying something to both parties if it seems like the fair thing to do. Sometimes, but much less frequently, one party will get a “home run” and totally prevail in the Court’s findings. It is not unusual for the losing party to be upset or to believe that the court’s finding was unjust, wrong or biased. In New Jersey where I practice, there are mechanisms for having another look at the issue just decided. For example, a party may submit a motion for reconsideration. This has to be applied for within 20 days of the Court Order that is being contested and cannot simply be for the reason that the party did not like the Judge’s decision. Rather, among other things, a party would have to show the Court that the Judge omitted some important fact or misapplied the Law to these facts. Also, if there is brand-new information that just became available, that had it been previously submitted to the Court would have resulted in a different outcome, then this would be appropriate to reconsider. Being unhappy with the decision, however, is not a basis to file this motion. If a party is not able to get relief through a motion for reconsideration, an appeal may be considered. In fact, when applying for an appeal (e.g. to the Appellate Division), you will be asked on the Notice of Appeal if you already submitted a motion for reconsideration or a motion to Stay Judgment (pending appeal) and if it was already rejected. You have 45 days from the day of the original order to submit the Notice of Appeal. Otherwise, it is generally too late to appeal. In Family Court, most appeals fail and the Appellate Division will affirm the decision of the court below. Part of that is because the Appellate Division gives much deference to the Family Court Judge. This is due to the fact that the judge has expertise in this area and had the benefit of being there, hearing the arguments first hand and being able to make credibility determinations in the process of rendering a decision. The Family Part Judge has a certain amount of discretion to make a decision based on what the Judge deems to be appropriate and just. The Appellate Division will send the case back to the trial judge (remand) or reverse the decision below if (among other things) the Appellate Judges believe that the Judge abused their discretion (went too far). Or, the Appellate Division will reverse and remand, or simply reverse if the Judge made an error of Law. These are simplifications, designed to give you a basic idea of the process. There are different ways that the Appellate Division will review a Judge’s decision, with different standards or criteria for making their determination, as requested by the petitioner, but this is not the purpose of the current explanation. Regarding justice and fairness, a Judge (at the trial level, rather than the Appellate level) will occasionally make a decision based on fairness or “equity”. In New Jersey, the Family Court is a section of the Chancery Division of the Superior Court and is considered to be a “Court of Equity”. This means that at times, when there is no clear rule of Law that compels a Judge to rule a certain way, a Judge may decide an issue based on what is fair to do. This is usually found in financial issues, where a party may be repaid or at least partially compensated for expenses they previously incurred, because it is the right thing to do, to resolve a case. But a Judge also has the discretion to decline to do that based on other determinations (e.g. the party seeking to be compensated had “unclean hands” or some culpability or bad behavior). Justice from the point of view of the litigant may be self-centered. That is, if I lose my argument or application, then it is unjust by (my) definition. A party can be passionate and sincerely believe that they are right and deserving (to win) but a Judge may disagree based on the totality of all of the circumstances and from a more objective outside perspective. At times, I have heard my clients or adverse clients (the other party) complain that the Judge was corrupt, a friend of the other lawyer, biased, or unintelligent. It is difficult to defend a Judge to one’s own client, especially when the client is unhappy over a decision that the Judge made, but it is highly unlikely that the Judge was corrupt, or biased or influenced by friendship with a particular lawyer. Judges are not unintelligent. Maybe sometimes they are impatient, or overworked, or they have had enough of the petty bickering that they hear in a particular case. It has happened, however, that on a rare occasion when there is an actual bias or appearance of bias, that the Appellate Division or even the Judicial Ethics Committee, might step in. This, however, is something that is rarely, if ever, seen by an attorney perhaps in an entire career. That does not mean that it does not, or could not happen, however. In certain areas of Law, there may be a bias that seems unfair. For example, in Child Protective Services (CPS) cases, the Judge usually sides with the Deputy Attorney General (the lawyer representing the CPS agency) in New Jersey, The Division of Child Protection and Permanency (DCP&P). Even when the Division has no case, has a flimsy set of facts, most Judges will usually defer to the Deputy Attorney General (D.A.G. )’s arguments, as well as the Court-appointed Law Guardian for the child, and err on the side of caution due to concerns about the safety of the child. Since in New Jersey (and elsewhere) the Court has the power to make decisions as a parent (parens patriae powers), then a Judge can at least temporarily change custody of a child, kick a parent out of the house until a further determination is made, and can continue the case for up to a year until it either gets dismissed of goes further if appropriate. That means that for a small minority of parents who are wrongfully accused of abuse or neglect of a child, that they are treated as guilty until proven innocent later on. The allegations made by the Division can be later discredited at trial, but the trial can take 3 to 6 months to begin after the initial Complaint is submitted. For a parent who did not commit an act of abuse or neglect, but is accused of doing so, that parent may have to spend tens of thousands of dollars defending themselves (if they do not qualify for public defender) and in the interim, may have to sleep on someone’s couch if they were ordered to leave their home (leaving the child in the care of the other parent or another relative). I had a case like this where the father lived in his car for months until the case was dismissed in his favor. Parenting time can be ordered to be supervised only, or infrequently allowed, such as every other week for a couple hours. That targeted parent may have to submit to a battery of psychological tests, substance abuse assessments, and perhaps submit to treatment (even before a diagnosis is rendered). The treatment that may be ordered can include anger management training and parenting skills training. The assessments may be over-broad and essentially can become a fishing expedition to find some reason why the child should not be in the care of that parent. The CPS workers generally do not back down, assuming that the parent is “guilty” and that they should receive only supervised parenting time and go for treatment. Ultimately, that is for a Judge to decide, but the process moves slowly and the Judges usually will go along with the recommendations of the Division and Law Guardian (who usually are in agreement with each other). The purpose of describing this latter issue in CPS cases, is that for a parent who is unjustly accused of child abuse or neglect, much damage can be done. This can be psychological, financial, and certainly to the parent-child relationship. A child’s behavior can deteriorate with the sudden inexplicable absence of a parent with whom they are bonded. A parent can be forced to go for treatment for a “condition” for which they were not (yet) diagnosed, and their compliance with the treatment and court-ordered assessments will be used to later decide when or if the parent and child can go back to normal. It is a very difficult area of Law, replete with unfairness when a client has not been abusive or neglectful to their child. Importantly, however, most of the allegations of child abuse or neglect turn out to be real, the protections of the State are clearly necessary, and children’s lives are often salvaged or saved by the efforts of the child protective services and the Court. We are only speaking here of the times when an innocent parent is swept up into the system that assumes that they are not so innocent. That is a painful process for that particular parent or family. Justice and fairness is usually accomplished in Family Court. There are many variables to juggle, including the financial issues, credits due a party, child support and alimony, equitable distribution, anticipated retirement age, and most importantly, the best interests and safety of any children. Arriving at custody and parenting time decisions is sometimes a daunting task, requiring expert assessments. All of this takes time, money and the desire to settle the issues through negotiations. If the parties can negotiate and make compromises, they may be able to reach a fair settlement without going to trial. They can save money on legal fees and maintain a civil, cooperative relationship for the benefit of any children they may have. Then the parties do not have to be so concerned with justice and what is fair. They can mediate their issues make decisions themselves without a Judge having to intercede. When the parties cannot agree, cannot make decisions amicably, and continue to fight with each other, a Judge will make the decision(s) for them and this will open the door to a party feeling that they were judged unfairly. It is better to avoid this by making a conscious decision to work out an agreement, even if not totally satisfactory. A good agreement requires compromise, sacrifice and the ability to keep things in perspective. That is not easy, but the results can make the effort very worthwhile. On the other hand, being self-righteous, angry, feeling victimized, needing to malign and put down the other party invariably leads to more litigation, more legal fees, and the likelihood of feeling that you did not get a fair shake in court. Good luck, and please post a comment about your experiences. Please note, this blog is for information purposes only. It is not legal or psychological advice and it does not create an attorney/client or psychologist/patient relationship. If you have a question about a specific matter you should seek out an attorney or mental health expert to assist you.